We’ve found online travel agents demanding more money after you’ve completed a flight booking – have you been overcharged and hit with other sneaky fees? Our investigation this week revealed that it all starts with a ‘too-good-to-be-true’ offer – designed to lure people in with a great deal on their ideal summer getaway before the prices get ramped up. So why are some online travel agents able to get away with advertising ‘ultra-cheap’ tickets for flights? One reason is the number of unnecessary add-ons that you don’t find out about until later on. In one instance we found a £39 charge for the US visa-waiver scheme – you can buy it directly from the US government for just £11. In addition to flight rip-offs, another problem facing consumers is the similar tricks used by hotel booking sites. Fortunately, action is now being taken in this area. 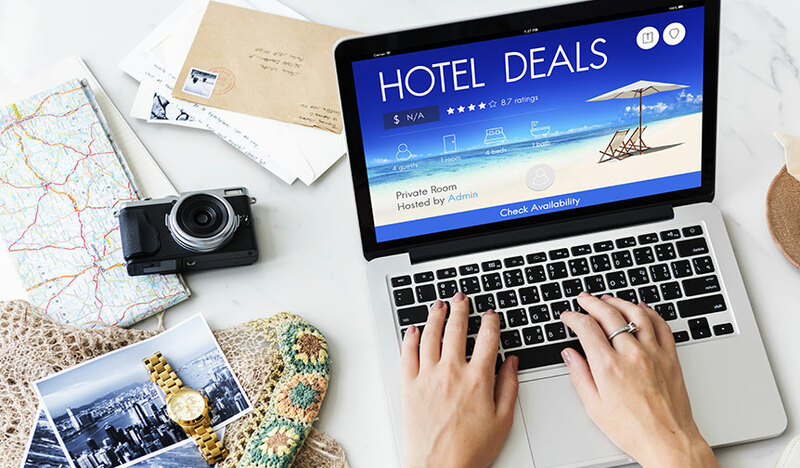 Today the Competition Markets Authority (CMA) announced that it’s launching enforcement action against a number of hotel booking sites regarding pressure selling and hidden charges. Noticed those pop-ups that tell you how many other people are ‘looking at’ the same booking as you? The CMA has said that these could create a false impression of availability, which can rush consumers into making a decision. These booking sites will now risk court action unless they review their practices to comply with consumer protection law. We’re pleased that two years after Which? Travel first investigated online booking deals that don’t add up, change is on the way. Similar action should now be taken against websites ripping off customers with too-good-to-be-true flight offers. These sites need to make sure that the deals they’re offering are genuine, and the dodgy pressure-selling tactics are ditched so that consumers can make an informed decision. Too many people are ending up paying a different price to the one they were originally quoted. Have you had a dream holiday booking turn into a nightmare? Let us know what happened, and what extra fees you ran into. The thing that irritates me sometimes is when hotels (and sometimes booking web sites) within the EEA fail to include all taxes within the total price that they quote. This breaches Articles 5(1)(c) and 6(1)(e) of Directive 2011/83/EU (Consumer Rights Directive), which states that businesses throughout the European Economic Area must quote to consumers “the total price of the goods or services inclusive of taxes“. Some hotels and booking web sites believe they can get away with omitting local tax or city tax from the total price and then ask guests to pay the tax locally when they check in or check out. This breaches the directive, which is enacted into national law in every EEA member state. If this happens to you, refuse to pay and quote the directive. That’s what I do and although hoteliers might argue, when you quote the directive, they soon realise that they have no legal basis to ask you for additional money, as they have to fund any local or city taxes from the total price that you have paid or agreed. The only reason to exclude taxes from a quoted price is to facilitate a misleading indication of price, a disingenuous practice which the legislation outlaws. The contents of that Directive have been transposed into the national laws of every EU and EEA member state and territory and those regulations came into force on 13 June 2014 – more than four years ago.